Decades ago, Malcolm X eloquently stated that communities have the legitimate right to defend themselves “by any means necessary” with any tool or tactic, including guns. This wide-ranging anthology uncovers the hidden histories and ideas of community armed self-defense, exploring how it has been used by marginalized and oppressed communities as well as anarchists and radicals within significant social movements of the twentieth and twenty-first centuries. Far from a call to arms, or a “how-to” manual for warfare, this volume offers histories, reflections, and questions about the role of firearms in small collective defense efforts and its place in larger efforts toward the creation of autonomy and liberation. 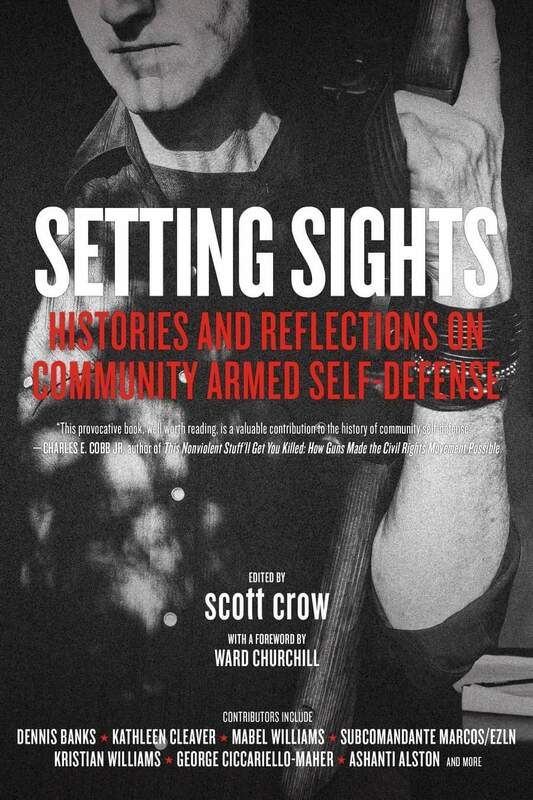 Featuring diverse perspectives from movements across the globe, Setting Sights includes vivid histories and personal reflections from both researchers and those who participated in community armed self-defense. Contributors include Dennis Banks, Kathleen Cleaver, Mable Williams, Subcomandante Marcos, Kristian Williams, George Ciccariello-Maher, Ashanti Alston, and many more. scott crow is an international speaker and author. His first book, Black Flags and Windmills: Hope, Anarchy, and the Common Ground Collective, was included on NPR’s Top Summer Reads of 2015. Black Flags and Windmills has been translated into Spanish, Russian, and Chinese. He is a contributor to the books Grabbing Back: Essays Against the Global Land Grab, Witness to Betrayal, The Black Bloc Papers, and What Lies Beneath: Katrina, Race, and the State of the Nation. Ward Churchill was, until moving to Atlanta in 2012, a member of the leadership council of Colorado AIM. He is a life member of Vietnam Veterans Against the War and currently a member of the elders council of the original Rainbow Coalition, founded by Chicago Black Panther leader Fred Hampton in 1969. Now retired, Churchill was professor of American Indian Studies and chair of the Department of Ethnic Studies until 2005, when he became the focus of a major academic freedom case. Among his two dozen books are Wielding Words Like Weapons and Pacifism as Pathology.